Absolutely definitely one of the best books that I have read this year, I am not sure where I came across this title or what it was that pushed me to get it through ILL, but suffice to say, I did and I loved it. A novel in the same realm as “Stone Angel” or perhaps one of Doris Lessing’s characters (or Muriel Spark), this protagonist is a middle-aged unmarried woman in the 1950’s in Belfast. During this time period, there were some options (but not many) for women who were not that well educated and unmarried. Miss Judith Hearne is a part-time music teacher, but this is not enough to fill her bank account or her long days and hours that she has to spare whilst she moves from one boarding house after another. It’s from the PoV of Hearne, and it’s interesting to see how Moore matches her speech to her thoughts (as it would in real life). She has a secret habit in her life, and as this becomes more and more of a problem, the reader is allowed to see this in Judith’s speech. 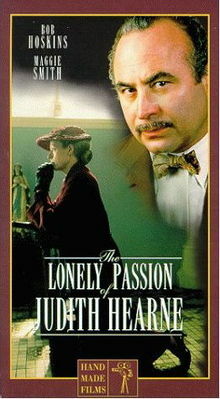 (I don’t really feel right calling her “Judith” – she’s more of a “Miss Hearne” to me). “…[she] drooped her huge bosom over the table like a bag of washing…” – what a great choice of words! The heaviness of laundry, the domesticity of it all… And the landlady also had a “wicked parrot smile” — what an image that is. Her life has not been that easy, and it is this sense of doubt of where she has and what she had done with her life that pervades this story. It’s a life that seems hopeless in many ways with no way to change or go a new direction. Miss Hearne’s Catholic religion plays a huge role in her life, but with some problems come some doubts and to those around her, her voicing these doubts is threatening and uncomfortable. Despite her religious belief, she is extremely judgmental and yet, like Hagar in “Stone Angel”, despite her being unlikeable, the reader can’t help but understand her and sympathize with her on some levels. It’s a grey, rainy and inner-city novel – full of wet cold days and characters much the same. 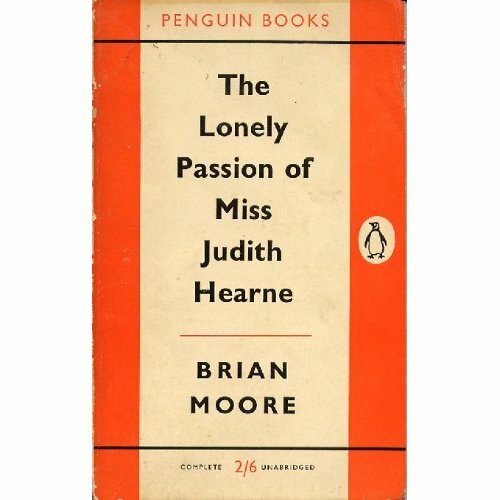 Miss Hearne does make her own problems worse, it is true, but at heart she is very lonely, poor, unwanted and sad. She’s not malevolent but her actions can be misunderstood and so her usual shield against the comments of others is defensiveness. However, I couldn’t help but feel for her – what other choices had she had in her life? There is a lot of mention about alcohol – its effects, the drinking, the pub environment – and so I thought it was quite appropriate that in the middle of the book there were some cigarette burns and drink spills. Seriously, this is a fantastic read. It’s not a happy one, by any means, but it’s a well written one. This entry was posted in books, Fiction and tagged British, classic, domestic, Fiction, gender roles, irish, women by lizipaulk. Bookmark the permalink.